President George H.W. 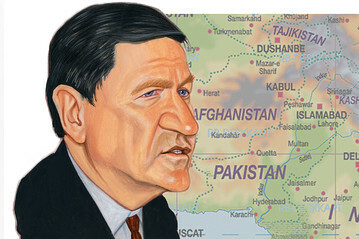 Bush once described him as the “most persistent advocate I’ve ever run into.” President Obama’s special envoy to Afghanistan and Pakistan, Ambassador Richard Holbrooke, died earlier today after complications from heart surgery. He was a gifted diplomat and a tough negotiator who was considered one of the superstars of international diplomacy. Richard Holbrooke died Monday evening at George Washington University Hospital after doctors had performed emergency surgery Saturday to repair a tear in his aorta, the largest artery in the human body responsible for carrying blood from the heart to all parts of the body. –Manzer Munir, a proud Pakistani American and peace activist, is the founder of Pakistanis for Peace and blogs at http://www.PakistanisforPeace.com as well at other websites as a freelance journalist and writer.